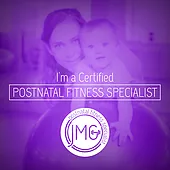 Here Is Your Free Post-Baby Strength Training Handbook, showing you how to get back into high-intensity training after having a baby as well as teaching you how to integrate your pelvic floor. How you can build the strongest body with strength and conditioning, that will protect your core and pelvic floor. Yes, you can be even stronger that you before pregnancy. Trust me on this one. How to strengthen your core and why crunches and planks are not as effective as you may think. And most of us are doing them wrong anyway. Did you know there is no point in holding a plank for 20-minutes? Yep, those challenges are useless. How traditional high-intensity fitness programs have it all wrong when it comes to training postpartum women. It's about healing, not about how fast you can "get your body back". How sleep, stress and nutrition all play a large role in your core and pelvic floor function. You will be surprised with how this all ties into how your pelvic health and your overall performance in the gym. 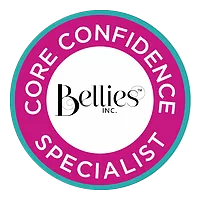 How your core and pelvic floor change during pregnancy, and what you can do to improve how they function together. Do you know how a kegel can improve your lifts and help you stay symptom free? How to use 5 key functional movements to address your symptoms. Whether you're an olympic lifter, marathon runner, figure competitor or, beginner, you can use these moves confidently. 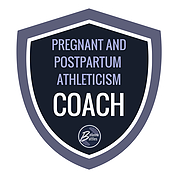 Enter your email and sign up for our newsletter to download your Free Post-Baby Strength Training Handbook: 5 Steps To Managing Your Pelvic Health! When you sign-up, you will receive emails twice weekly. If you do not wish to recieve these emails, please feel free to unsubscribe by following the instructions within the email.